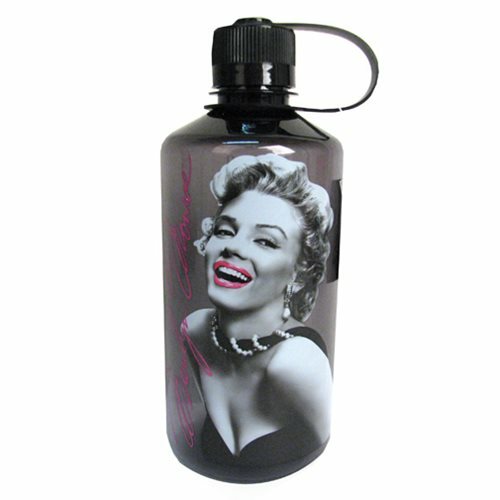 Hydrate in style with Marilyn Monroe! This Marilyn Monroe Rose Lips 1 Liter Plastic Water Bottle features a dazzling black and white photo of Marilyn herself, along with her signature in pink. The water bottle comes with an attached twist-off top and holds up to 1 liter of liquid. Hand wash only. Not dishwasher safe. Do not microwave. Measures 9 1/2-inches tall. Ages 14 and up.